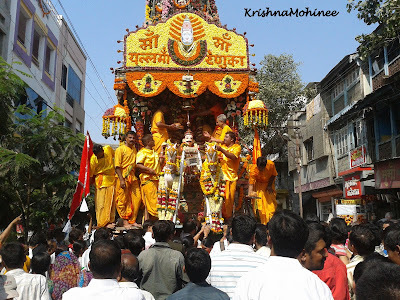 Finally, on the Ekadashi - the Elevanth Day of Ashwin Shukla Paksha according to the Lunar Calender, the main chariot festival of Bhagwan Balaji arrived. 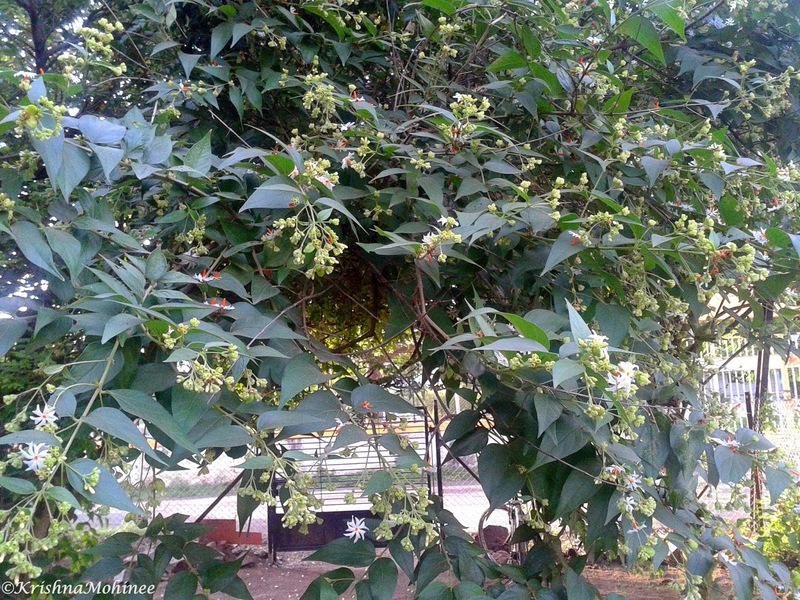 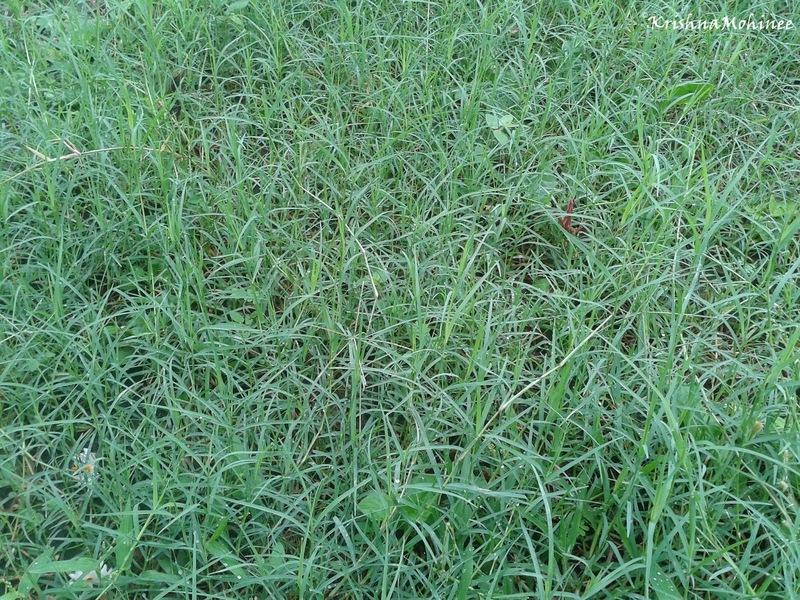 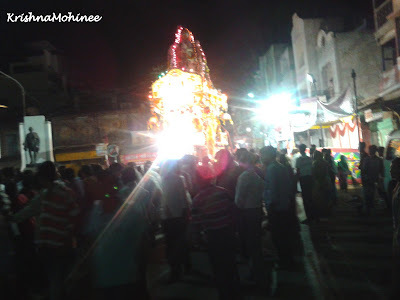 All the pics by my brother Dnyanesh. 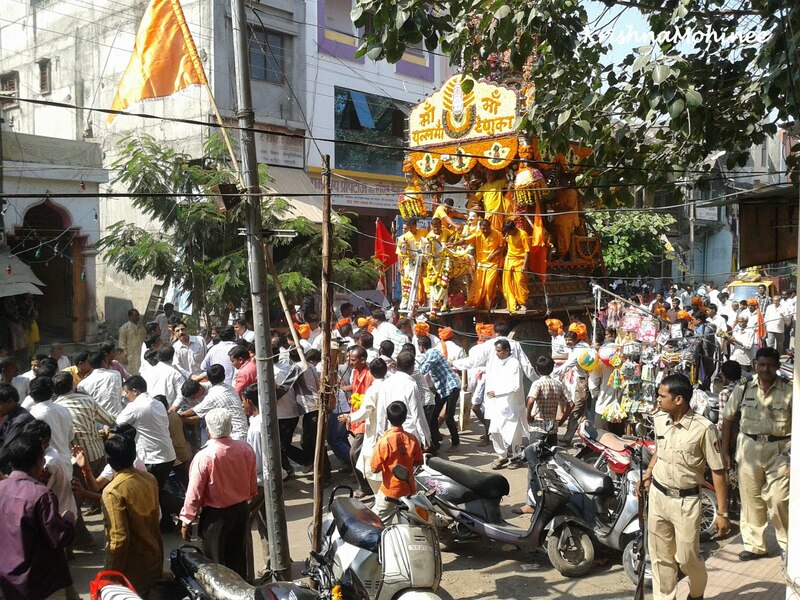 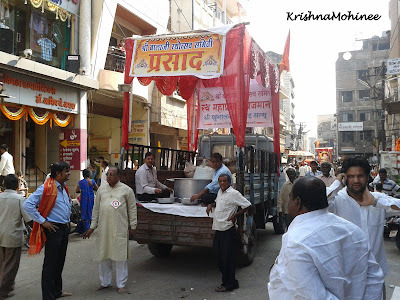 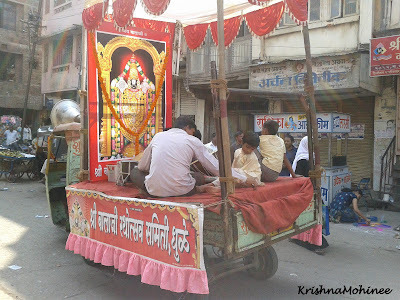 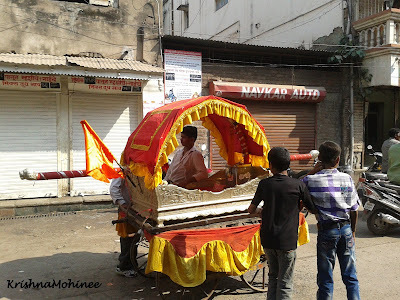 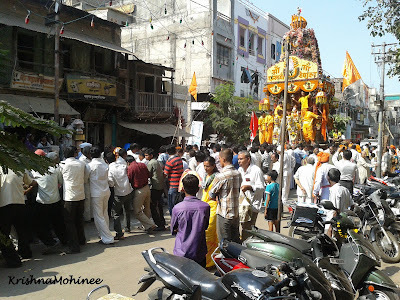 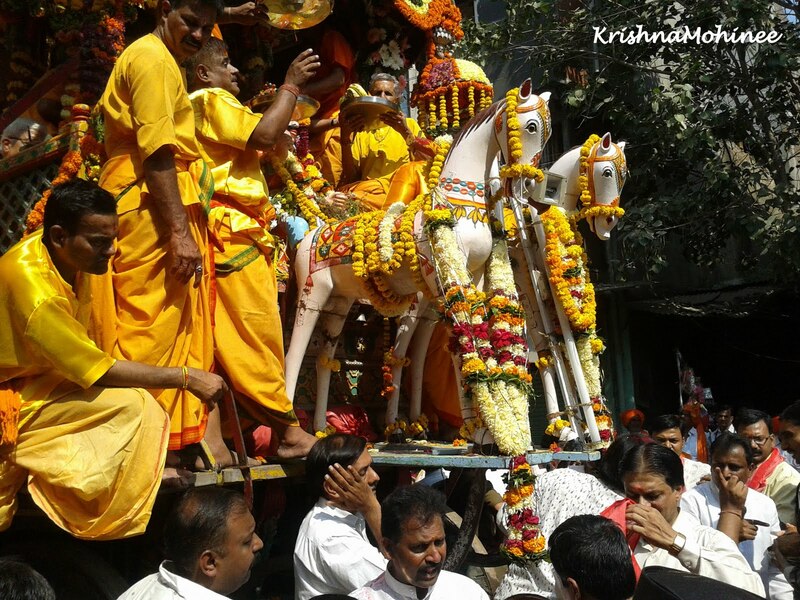 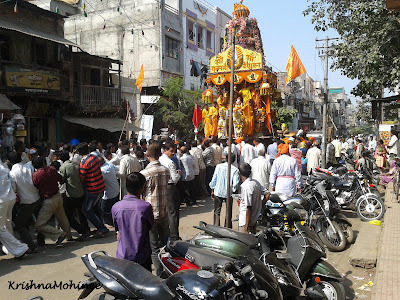 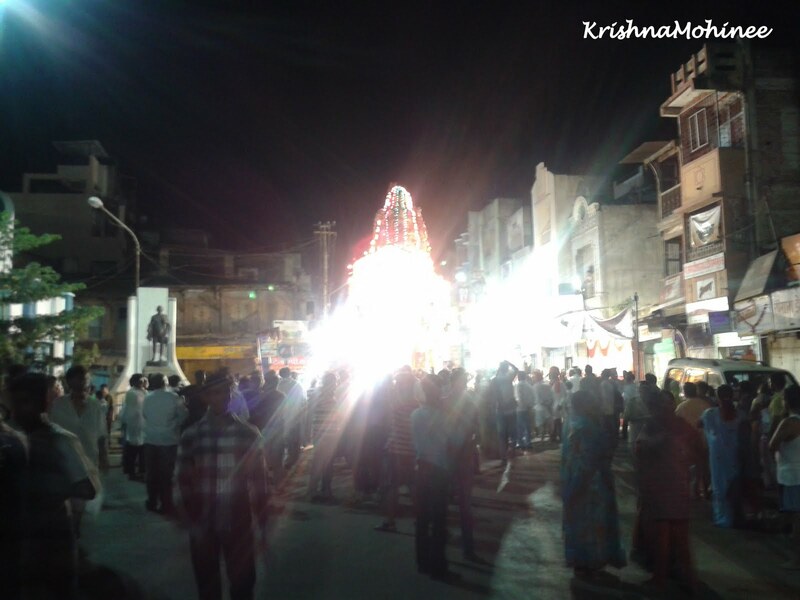 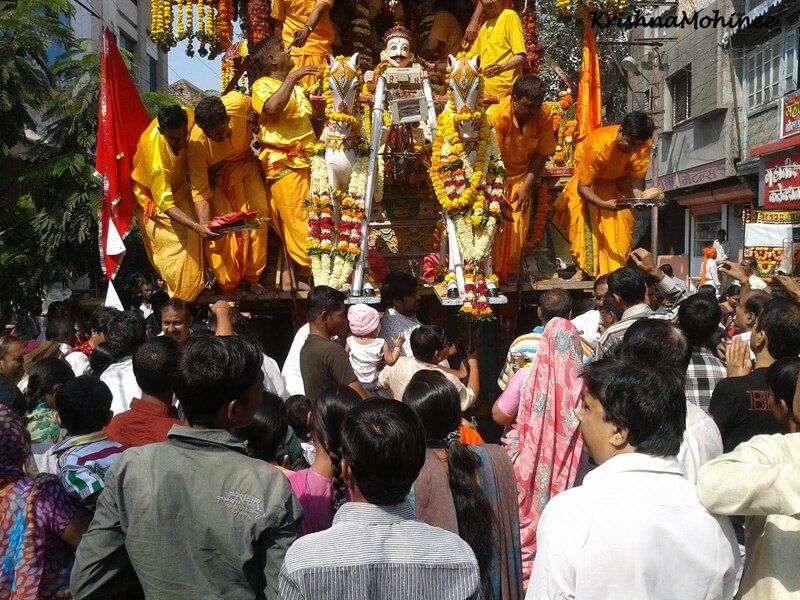 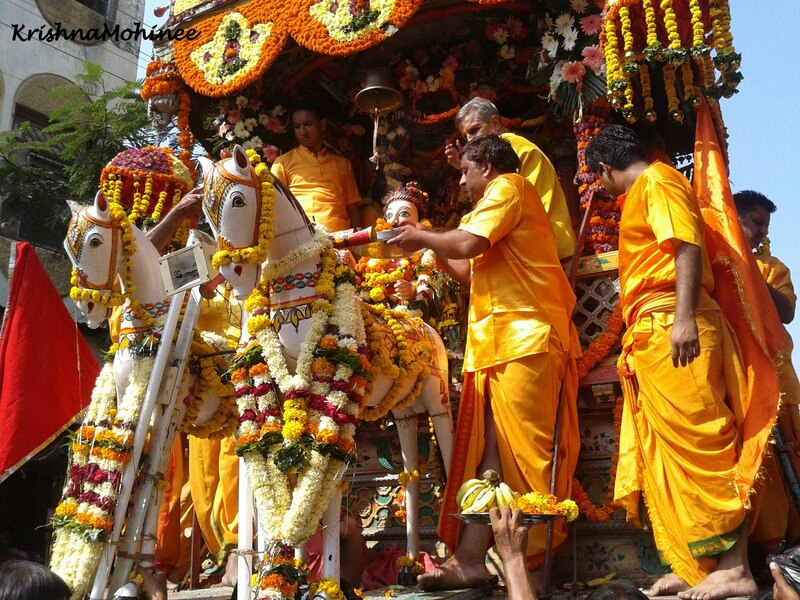 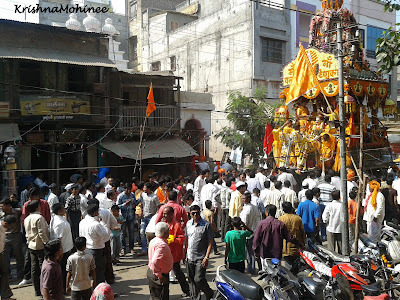 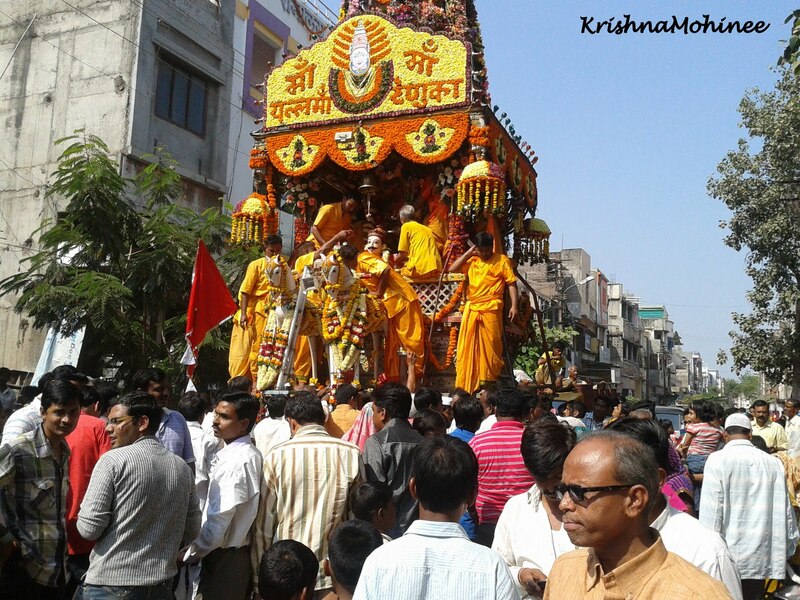 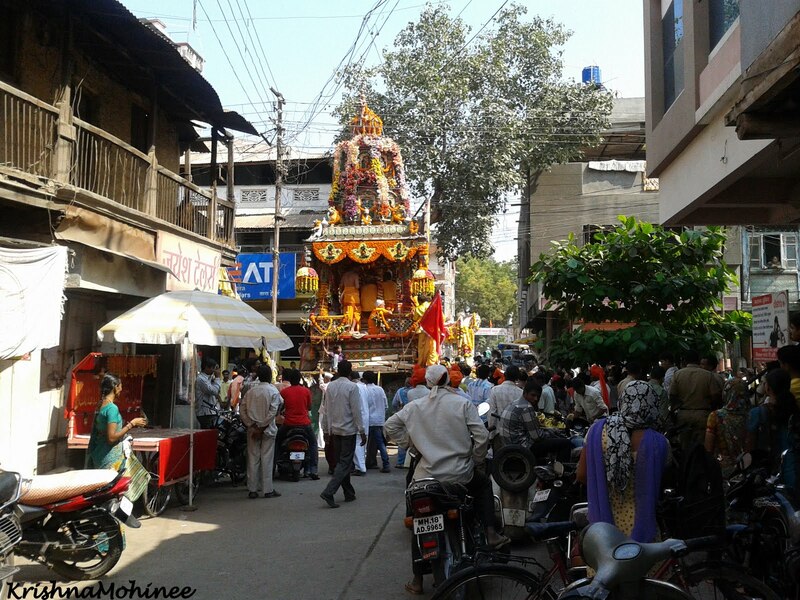 The Ratham - The Chariot passing from small lanes of Dhule. A devotee offering the Prasadam, flowers and Arti, please see the hand there. 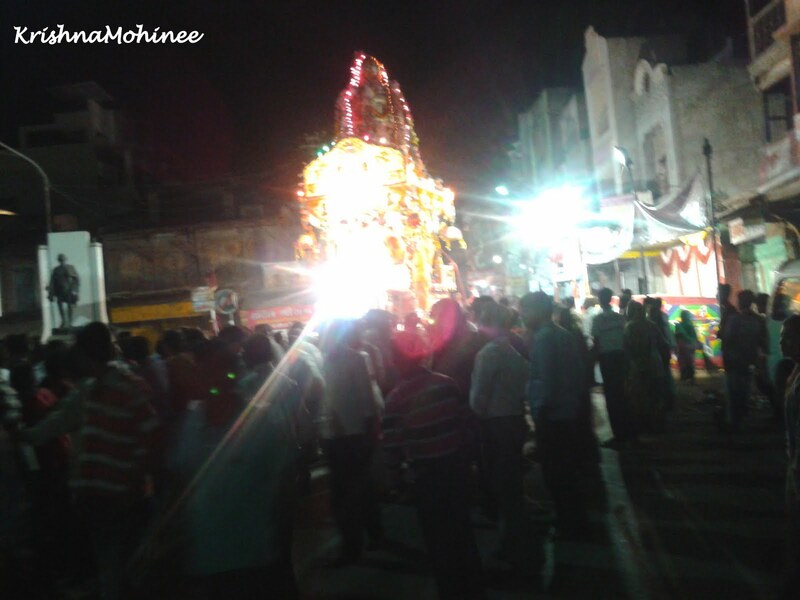 Navaratri was very divine this year. I am thankful to you all brothers and sisters for being with us to encourage us for the work. 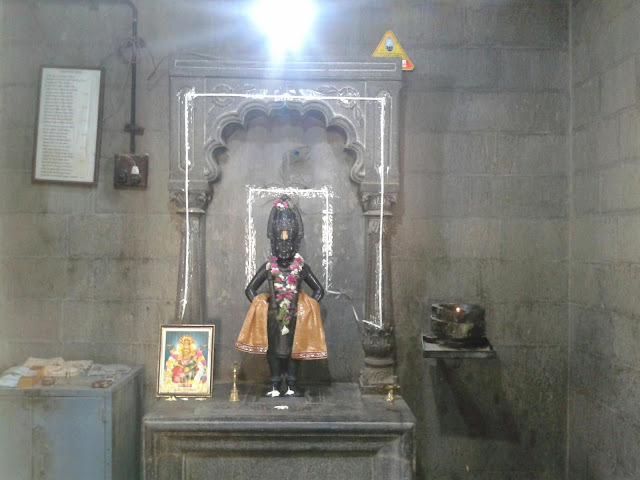 My family, from the time of my Grandfather and even before that, from the beginning of the temple, is attached to the Pooja here. Now, in this generation, me and my brother are blessed by Bhagwan Balaji to spread and share the photos of this festival with you all and the tradition of devotion from my family is also continued thus. I will share some more clippings of pulling and stopping of the chariot which is very difficult and looks hazardous too. 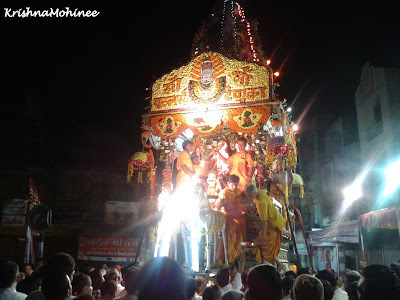 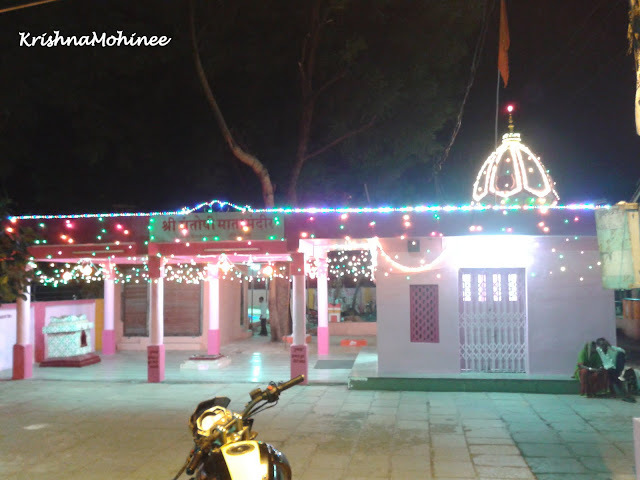 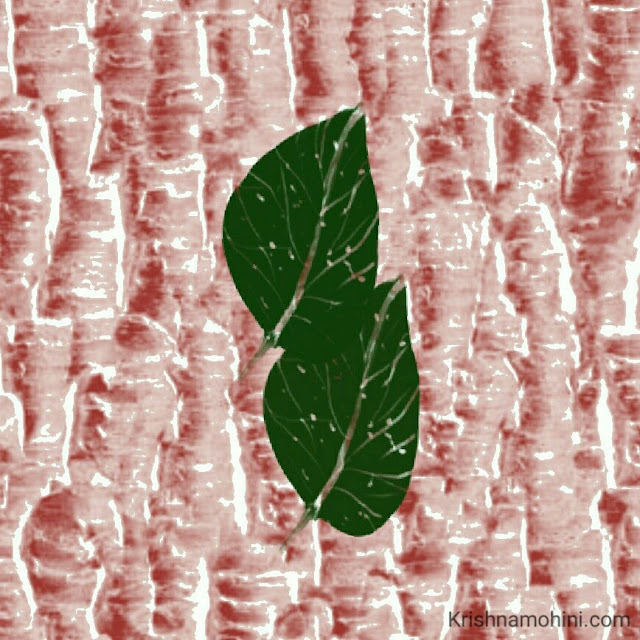 All the Vahans during the festivals are available on following links, don't miss to visit them.